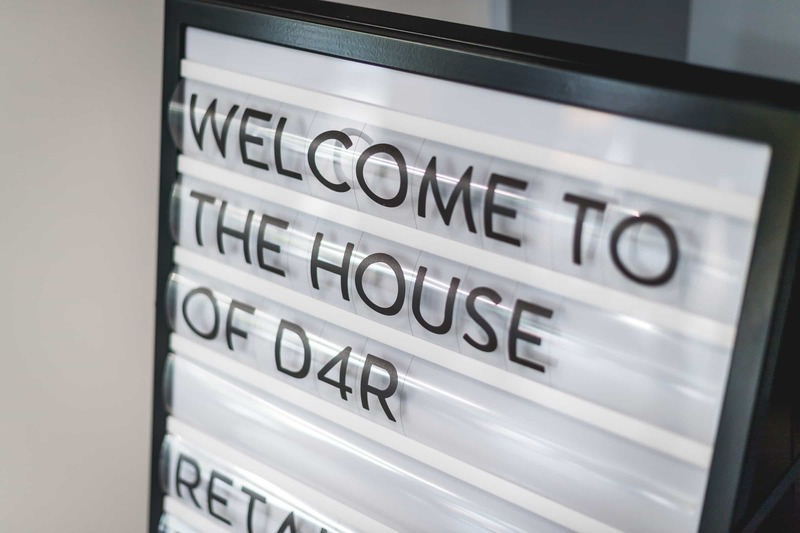 Here at Design4Retail, we get together every 6-12 months to analyse our targets, discuss our key projects, commend individuals and teams for their achievements and greet new members to our growing D4R family. This team gathering is not just a chance to review the numbers, but also a great opportunity to do so much more than that. 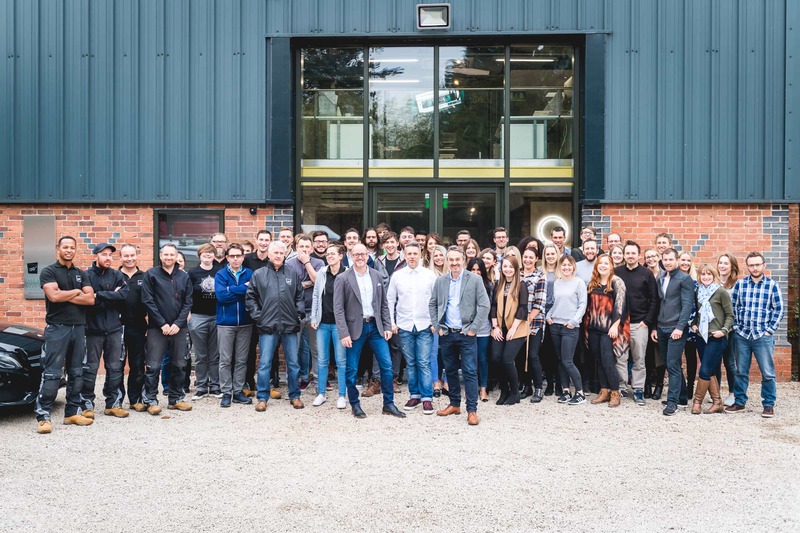 We take time to acknowledge and highlight all of the hard work our talented team puts into each and every project. Recognising the effort and loyalty afforded to colleagues and clients alike. 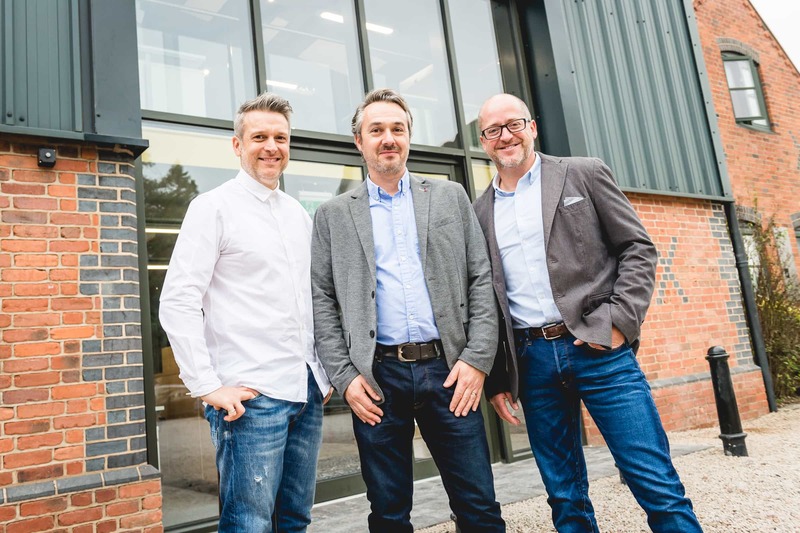 This meeting however was extra special because in line with the success of D4R over the last 14 years, we have also recently revamped our head office! 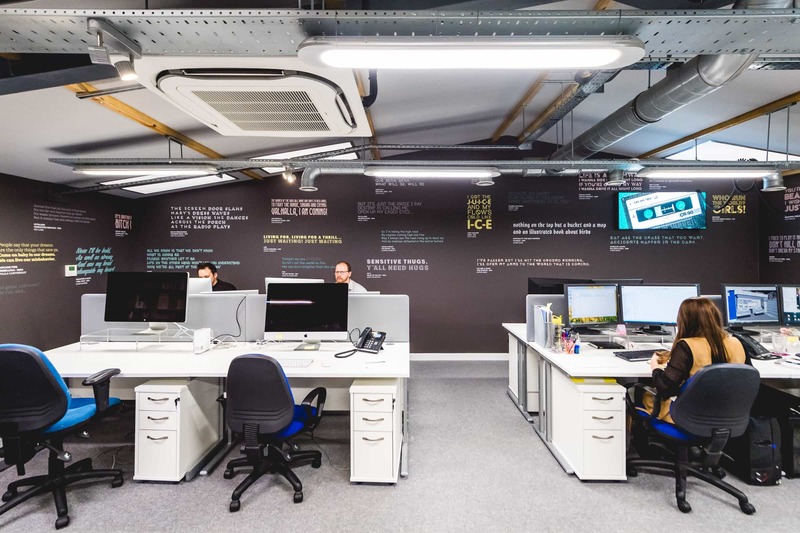 Increasing the space to include room for growth, additional meeting rooms, a beautiful new design studio, a welcoming reception and an extension to our infamous D4R lyric wall; we are pretty chuffed by how we have injected some of our creative magic into our own working environment. 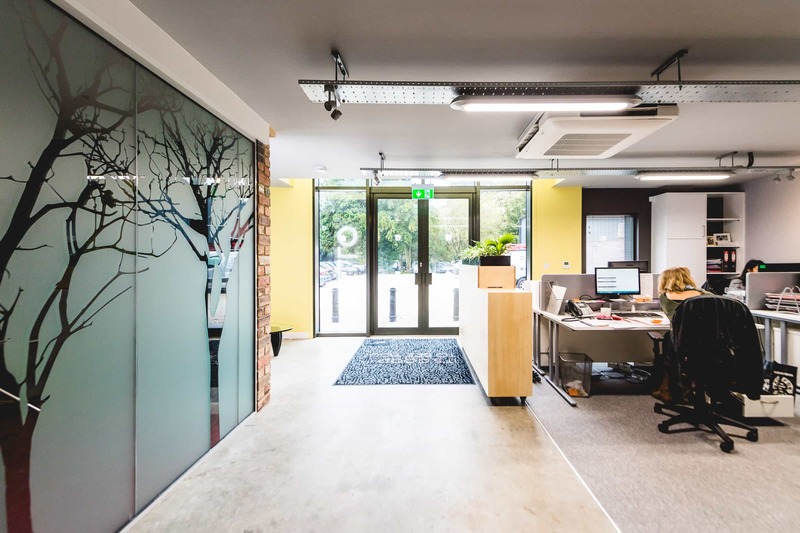 One of the most striking changes is the floor to ceiling glazed entrance which floods our new reception and studio with day light. 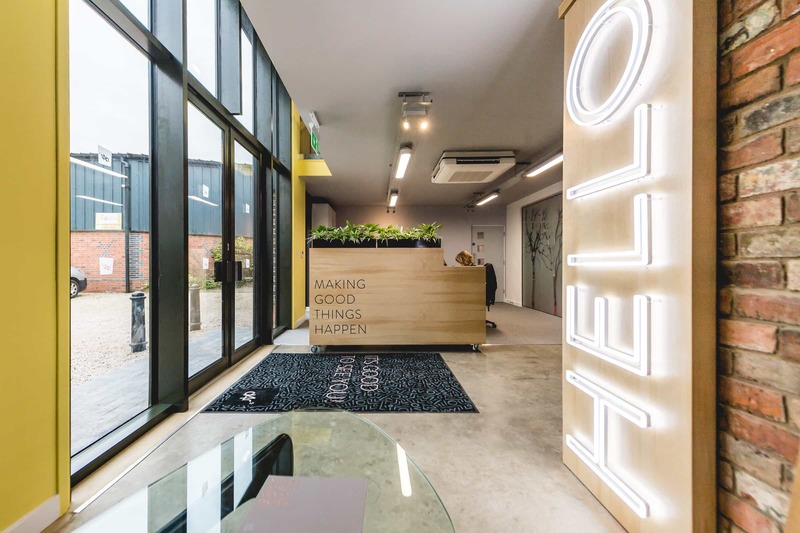 The neon 'HELLO' which you may have seen at RDE2017 now features proudly just inside our entrance, surrounded by some everyday classic seating and natural planting. It's contemporary with a creative twist and most importantly: it's definitely us. 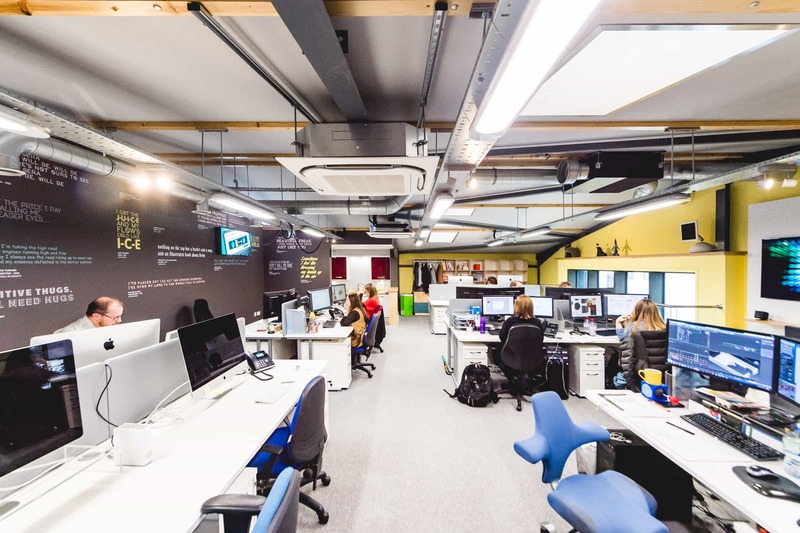 However, developing our space wasn't just for the quirky design, it was also to promote our team ethos which is right at the heart of the D4R principles. 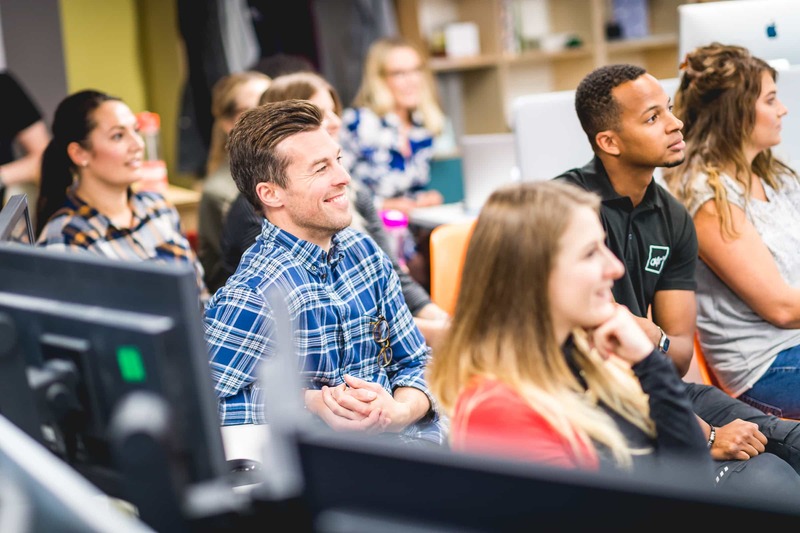 More meeting spaces, a bigger kitchen with seating for lunch times and an open plan design studio for get-togethers which have all been created with a 'collaboration' in mind. 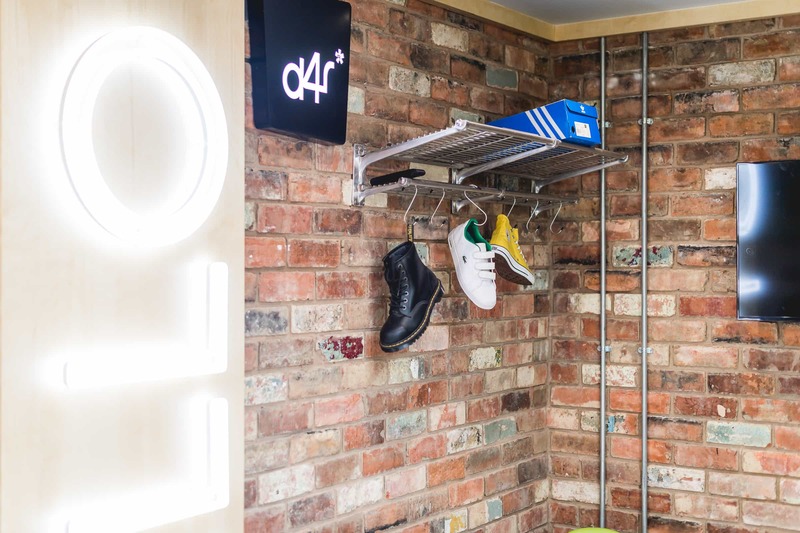 With the work hard, play hard ethic at the forefront we also have new shower rooms for those crazy few individuals who do like to get their exercise fix before work or at lunchtime! 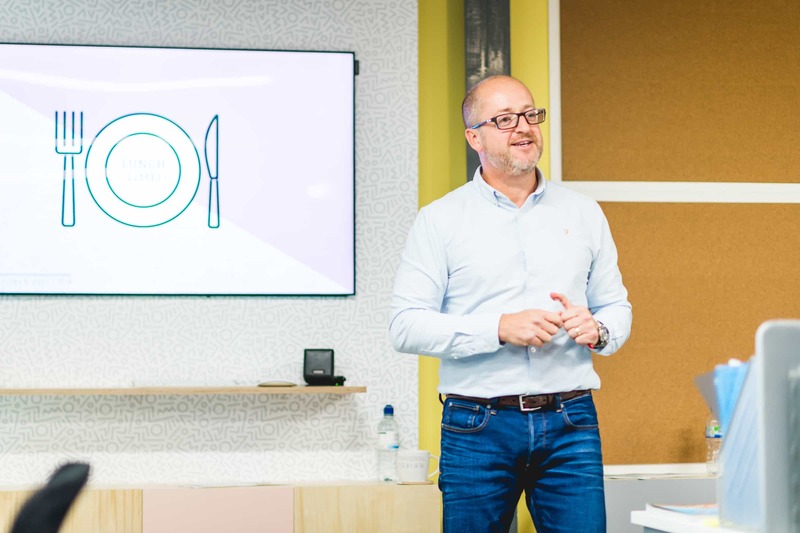 So, what better way to celebrate together than to enjoy some good food and banter with our photographer capturing some great shots of all of us! We have included up to date shots of the new starters (and re-dos for some of us!) featuring on the Meet The Team page. All of which have a thumbnail of our favourite interest, hobby or memory so hover over any of us to see what we are all about!